My people, you feast at the table of demons, eating of the world’s dainties yet refuse to eat at My table. You turn your face away from the dispirited, the poor, the outcast, the fatherless, the single mothers – when I have told you to minister to them. Millions of my children are being slaughtered but you don’t hear their cries! Isn’t it because you’re too busy with your fund raisers, your concerts, and getting wealth, to hear their cries? Therefore, I won’t hear your cries when my indignation is unleashed upon this wicked generation. I will send the lash, then the sword! NO, you will not feel my Peace, but my hot displeasure! There is already a famine of my (true) words in the earth, there is already a drought in your spirits which are drying up as you don’t spend enough time in my presence soaking up the River of Life! Your vine will wither, the worm will eat holes in your bags, and I will dry up all your resources; and you will suffer barrenness until you REPENT of your idol worship and TURN BACK to Me. I AM and there is no other. Beware, when they say, “Peace, peace, when there is no peace!” There is NO PEACE for millions who are dying from poverty, starvation, disease, and war every single day! Stop ”healing the wound of my daughter lightly” and start ministering to those for whom my heart is breaking – those who can’t help themselves or free themselves from their prisons. As I have commanded YOU My Body – go help them and free them! Don’t call me “Lord, Lord” when you don’t DO what I have commanded! How many times have I spoken tenderly to you but you have not heeded my words? After you feel the heat of my anger and I remove your comforts and your pleasures – the idols you worship instead of Me; then you will heed them! The Lord therefore will chastise his people when it’s necessary, for their well being, so that they may partake of His holiness when the chastisement has finished its work in them. 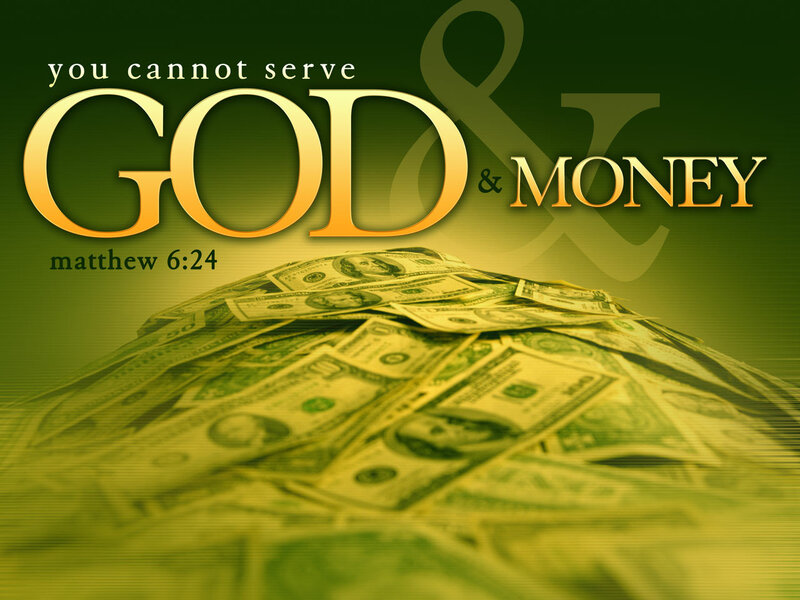 If you’re heaping up possessions on earth, and are consumed with thoughts of making money while giving no time or thought to what your heavenly Father wants of you, then you’re worshiping Mammon (money). If you’re only concerned with your own affairs while ignoring the needs of the unborn, single parents, widows, the elderly and disabled, the poor, and so on – how can it be said that you’re following in the footsteps of Jesus? If you’re keeping annual pagan holidays (rooted in ancient Roman, Greek, and other civilizations) but ignore Yahweh’s chosen feasts (Moedim) as outlined in His Word which all the Apostles of Christ and Jesus himself kept – how can it be said that you’re worshiping the true God of the bible? And, if you don’t ever READ the bible, how can you KNOW what Yahweh expects of you? Recently, a woman who was raised Catholic told me that she NEVER reads her bible (gasp!) to which I asked, Why not? She replied that she “talks to God” and that’s all she needs. When I told her about the need to be “born again” or “from above” in order to “see the kingdom of heaven,” she replied, “I believe like the Hindu’s, that God lives in every man.” (If she really believed that, why is she’s so often critical of others?) While it’s true that everyone has a spirit, soul, and body, that’s not what the bible means by being “born from ABOVE.” To be born from above is to be born of the Spirit of God (Yahweh) by believing in, and appropriating to yourself, the finished work (suffering, death, & resurrection) of Jesus Christ His only begotten Son. If you haven’t read a bible, get a hold of one and ask God to show you His truth, because if you’re thinking that you’ll be spared Hell and judgment by just attending church services – you’re deceived! If you believe that a priest can absolve  you of your sins so that you’ll go to heaven when you die – you’re deceived! Joh 14:6 Jesus saith…, I am the way, the truth, and the life: no man cometh unto the Father, but by me. Only Jesus can absolve you of sin by His Blood which was shed for you (once for all time) when He died on the Cross over two millennia ago. Exo 29:6 and thou shalt set the mitre upon his head, and put the holy crown upon the mitre. Exo 29:9 And thou shalt gird them with girdles, Aaron and his sons, and bind head-tires on them: and they shall have the priesthood by a perpetual statute: and thou shalt consecrate Aaron and his sons. Thus, the beaming CROWN worn by the 144 thousand, symbolizes their “separation” (from whatever’s unclean resulting in their holiness! ), and their “consecration” (dedication) unto God. Who is this ‘manchild?’ At first glance it would appear to be Jesus, since king Herod plotted to kill him as soon as he was born – Mat 2:13 Now when they were departed, behold, an angel of the Lord appeareth to Joseph in a dream, saying, Arise and take the young child and his mother, and flee into Egypt, and be thou there until I tell thee: for Herod will seek the young child to destroy him. Some believe the manchild is the Nation Israel born in 1948, however — In Isaiah chapter 66 verse 7 we read about a woman who gave birth even before travailing. “Before her pain came, she was delivered of a man child.” The mention of the birth of a man-child may bring the readers to immediate conclusion that the woman is Israel. It is true indeed. But the question here (in Isaiah) is whether this Man-child is caught up to the throne of God? Not at all! This speaks of a nation’s birth. http://www.wrpf.org/Rev12-ManChild.htm I think he’s saying the manchild in Isaiah represented the birth of the nation Israel, but the manchild in the book of Revelation is someone else. Read the whole article and see what you think. *Please note that I may or may not agree with everything written in other articles which I provide links to. Who are the 144 thousand? Some believe they are the first fruits of the Jews who have turned to Jesus – Rev. 7:1-8. Some believe they’re the first fruits of the saved Gentiles who are ‘caught up to God’ before the great tribulation starts, half way through it, or just prior to God’s wrath being poured out upon unbelieving mankind left on the earth – Rev. 14:1-5,12. I think the 144 thousand is comprised of two groups which I believe are the “two olive trees” in Zech. 4:3-14 and the “two candlesticks” in Rev. 11:4, which are also the “TWO WITNESSES” in Rev 11:3 – And I will give power unto my two witnesses, and they shall prophesy a thousand two hundred and threescore days, clothed in sackcloth. Rev 11:4 These are the two olive trees, and the two candlesticks standing before the God of the earth. Clearly, these scriptures depict the ”two olive trees,” “two candlesticks” and ”two witnesses” as being one and the same. 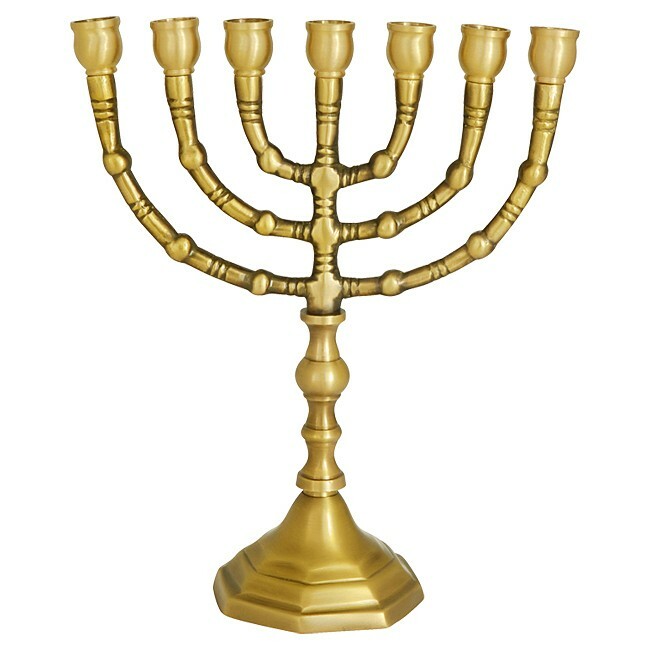 ”Candlesticks” should have been rendered “lampstands” as in a Menorah H4501 מְנֹרָה מְנוֹרָה menôrâh menôrâh – Zech 4:11 and others throughout the Old Testament. Always check to see what a term meant in the Old Testament in its ORIGINAL TONGUE or language before coming to any conclusions about its meaning. Otherwise you’ll end up with the wrong conclusion! When we compare scripture with scripture “rightly dividing” (rightly handling) the Word of truth, scripture agrees with and interprets itself – [2 Tim 2:15, Mt 13:52]. The “two olive trees” are 1) the “natural, cultivated olive tree” which is natural Israel and 2) the “wild olive tree,” gentiles who through faith in Yeshua are grafted into the natural olive tree [Romans 11:17-24]. Thus you have “two olive trees, two witnesses, two candlesticks, and two groups of 144 thousand (or two groups who make up the 144 thousand)” which are ONE in Yeshua through the New Birth by which Yeshua HaMashiach (Jesus the Messiah) makes “in himself of twain one new man“ [Eph 2:12-16]. These two groups of believers in Yeshua are a mature “MAN CHILD,” not “little children” – 1Jn 2:13 I write unto you, fathers, because ye have known him from the beginning. I write unto you, young men, because ye have overcome the wicked one. I write unto you, little children, because ye have known the Father. The “little children” know the Father but are immature in the faith, while the “young men” and the “fathers” are MATURE SONS of God and OVER COMERS. The overcoming 144 thousand will rule with Christ – Rev 2:26 And he that overcometh, and keepeth my works unto the end, to him will I give power over the nations: Rev 2:27 And he shall rule them with a rod of iron; as the vessels of a potter shall they be broken to shivers: even as I received of my Father. NOTE: There are 12 verses in the New Testament having that exact term “sealed” in them. There’s one lone verse which has to do with the sealing of a book – Rev. 5:1, another one has to do with Jesus being “sealed” by God – Jn 6:27, and one other which is about the sealing up of some gift in Rm 15:28. Thus, in total there are 9 verses about the SEALING of God’s “servants” in their foreheads to keep them safe from evil – Eph 1:13 in whom ye also, having heard the word of the truth, the gospel of your salvation, – in whom, having also believed, ye were sealed with the Holy Spirit of promise, [“of promise” Acts 1:4-5; 2:16-18; 2:38-39], Rev 7:3 Saying, Hurt not the earth, neither the sea, nor the trees, till we have sealed the servants of our God in their foreheads. Rev 7:4 And I heard the number of them which were sealed: and there were sealed an hundred and forty and four thousand of all the tribes of the children of Israel. *Of significance I feel, is that in Acts 2:38-39, the “promise” is associated with the “gift” of the Holy Spirit – which is received after or in conjunction with the Baptism in the Name of Jesus Christ! The “the baptism with the Holy Spirit” [Acts 2:1-6; 16-18] doesn’t always happen the moment a person asks Jesus into his/her heart, but in many cases it happens sometime afterwards as a separate occurance; sadly many never experience it because most churches do not teach or inform new believers about it because ministers are often uninformed about it themselves. This is just one example why all believers should read and study the Bible for themselves; so they can know ALL of God’s will and ALL of their inheritance in Christ, and begin to walk in it. Don’t let yourself be robbed of it by a “lack of knowledge” of God’s Word – Hosea 4:6. So, is the SEAL the Baptism with the Holy Spirit, the Name of God, or both? Each SEAL is the same Greek word “sphragizō” EXCEPT FOR ONE where the Name of God is written, “graphō” in the their foreheads, Rev 14:1. Was this a translator’s preference, or is there a distinct difference between the usage of these two different terms in reference to the 144 thousand servants of God? One is something “stamped” or “impressed” upon or into something, the other, to WRITE is something that’s formed with “letters” in some manner; could be hand-written, but could also be “stamped” or “etched” or “impressed” (as with a chisel or signet). Eze 9:4 And the LORD said unto him, Go through the midst of the city, through the midst of Jerusalem, and set a mark (H8420) upon the foreheads of the men that sigh and that cry for all the abominations that be done in the midst thereof. The same idea is apparent in this passage – Gen 4:15 And Jehovah said unto him, Therefore whosoever slayeth Cain, vengeance shall be taken on him sevenfold. And Jehovah appointed a sign [‘ôth] for Cain, lest any finding him should smite him. It has been widely speculated what that mark or sign might have been, but the scripture makes clear one thing – it was for Cain’s PROTECTION and something which WARNED others not to harm him – “mark” H226 ‘ôth 1) sign, signal 1a) a distinguishing mark 1b) banner 1c) remembrance 1d) miraculous sign 1e) omen 1f) warning 2) token, ensign, standard, miracle, proof. So, let’s see – the MARK of God, SEALED (stamped or impressed) into the foreheads, is for those to be SPARED FROM DESTRUCTION AND THE JUDGMENTS OF GOD reserved for the wicked! This SEAL then, is for PROTECTION from evil. *Note that the group being “sealed” in Ezekiel are those who “sigh” and “cry” for the abominations being done. What I’m getting a picture of is the Name of God, “YAHWEH” stamped or impressed upon the foreheads of his pure ones, to protect them from evil, destruction and judgement. All documents requiring proof of authenticity or ownership require a person’s signature, which is usually his/her name! I imagine that the Signature or MARK showing ownership of, and the authenticity of a true Believer, would be made up of the LETTERS (*refer to G1125 graphō; ‘or form letters on’) of Yahweh’s Name – “YHWH.” Thus, the MARK set upon believers for their protection, may well be the letters of His Name, impressed or written on, or in, their foreheads. Some believe the 144 thousand represent the Bride of Christ comprised of overcoming believers only, and that the rest go through the Great Tribulation in which most will be martyred. 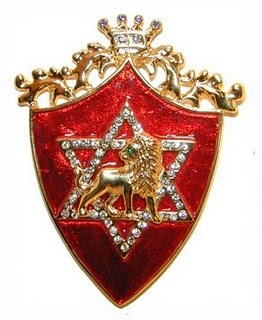 Whatever the case may be, the beaming crown will be worn by a group called the “one-hundred and forty-four thousand,” sealed with the SEAL of God. Could the manchild be the same entity as the 144 thousand? The man who wrote the article below thinks so. He believes the Manchild is the “overcoming” Church, and that not all believers will be in this company. The Man Child of Revelation 12 — Who, When and Why? The church must correctly identify the man child (male child) of Revelation 12 in order to correctly identify her end-times destiny and role in God’s plan to restore His creation. Although many believe the birth of the man child is a sign of Jesus as an individual birthed 2000 years ago, there is much to suggest that he is a sign of Jesus — not as an individual — but as a portion of His corporate body birthed 3-1/2 years before the very end of the age. If he is Jesus as an individual, that means one thing. But if he is a portion of the church — in the form of the corporate body of Christ — then we need to understand what that means for us who make up the body of Christ and who are alive at the end of the age. For without that understanding and vision, the church will be unaware of and unprepared for her glorious end-time calling. There are four main individuals or people groups in the great sign of Revelation 12: the woman, the man child, a great red dragon, and the “rest of her children”. The dragon is identified for us in verse 9 as Satan. The “rest of her children” are identified in verse 17 as Christians, because they keep the commandments of God and hold to the testimony of Jesus. The woman is harder to identify, but she fits the description of those Israelites blinded for the sake of the Gentiles until the fullness of the Gentiles comes in at which time she will be grafted back in (Romans 11:25-26). That is why she (they) must be protected for 3-1/2 years so she (they) can survive to the end of the age. 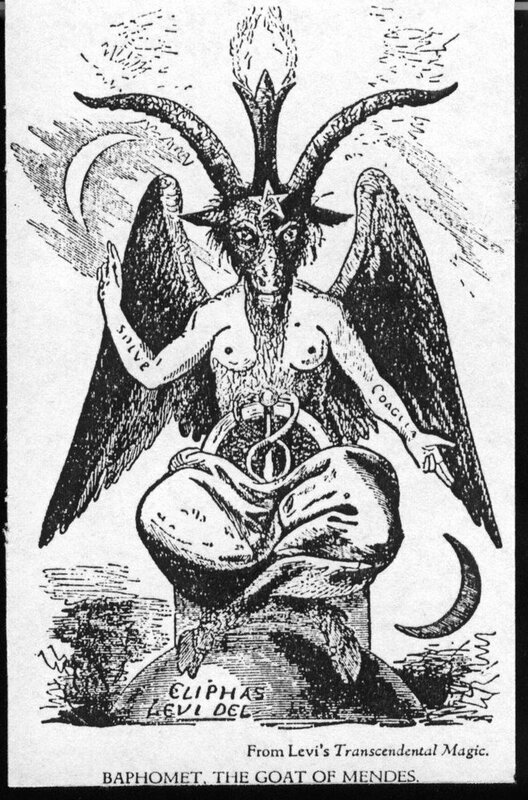 Revelation 12:8 explains that there was no longer any place in heaven found for Satan. In other words, something had just happened which changed his position of authority. What happened? The man child had just been caught up to heaven. There followed a great war in heaven, and as a result Satan was thrown down to earth. It would seem that Satan being thrown down to earth is a direct result of the man child being caught up to God and to His throne. The phrase “to His throne” implies that the man child has assumed a position of authority in heaven. This suggests that the spiritual authority for throwing Satan out of heaven to earth has been delegated to the man child. And that is consistent with the authority that Jesus has given His church. 18 “I also say to you that you are Peter, and upon this rock I will build My church; and the gates of Hades will not overpower it. Luke 10:19 indicates that Jesus has delegated all authority over the devil to His church. Jesus is now sitting at the right hand of the Father waiting until His enemies be put under His feet. In other words, He is waiting for the church to step into the authority that He has given her. And He’s not going to take that authority back because the church has been slow to rise to the occasion. Jesus came to earth and did what He came to do, and now it is the church’s turn to do what she has been called and delegated to do. This is the great testimony of the book of Revelation. The man child has authority to eject Satan from heaven to earth. The saints on earth then overcome Satan by the blood of the Lamb, the word of their testimony, and by not loving their lives unto death. When the disciples returned after their first successful missionary venture, Jesus rejoiced greatly in the Holy Spirit, and He saw Satan fall like lightning from heaven. It was the first successful test of their delegated authority. And the test was satisfactory. And I believe that’s why Jesus rejoiced. He knew it was the Father’s plan to defeat Satan through the church, and Jesus came to put the Father’s plan into motion. But did that fall take place 2000 years ago, or did He see a vision of something that would happen in the future in the same way John saw the future events of Revelation? Did He and John both see that event which would eventually take place in Revelation 12:9 at the beginning of the final 3-1/2 years of the age? We are constrained to understand the “time, times and half a time” referred to in Revelation as a literal 3-1/2 years, as it is identified as equivalent terms of 42 months and 1260 days. At the beginning of this final 3-1/2 years of the age, the man child is birthed and caught up to heaven. He is birthed following increasingly intense events which Jesus describes in the gospels as birth pains. If there are birth pains associated with the end times, then there will be a birth. Who or what is being born? It is obvious from a overall view of the book of Revelation that the man child and the glorified saints are the product of this birthing. The church is birthed in splendor as a bride without spot or wrinkle. There are a number of clues that indicate his birth is at this 3-1/2 year point before the very end of the age. 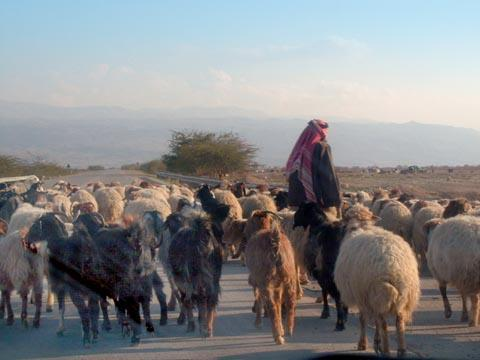 The famines, earthquakes, wars, and the persecution that Jesus describes as birth pains are events commonly associated with tribulation and/or great tribulation. The birth pains that Jesus describes did not take place 2000 years ago. They take place near the very end of the age. After the birth, the woman goes off into the wilderness to be protected for 3-1/2 years. Satan is then cast down from heaven to earth, and we know from other scriptures he then indwells the antichrist who is immediately revealed at this 3-1/2 year point. Jesus takes us back to the book of Daniel to point this out in Matthew 24:15. There is a crisis of intense events that takes place at this 3-1/2 year point. These last 3-1/2 years represent perhaps the greatest time of testimony on the earth except for the time when Jesus walked the earth 2000 years ago. We remember the prophecy of Elijah when as a result it did not rain for 3-1/2 years. Scholars believe Jesus’ time of public ministry was also 3-1/2 years. The two witnesses of Revelation 11 testify for 1260 days, or exactly 3-1/2 years. This last 3-1/2 years of the age will be an awesome testimony — the final testimony before Jesus returns. Therefore the book of Revelation covers it repeatedly and thoroughly. It is the final lap of the race the church has been running for 2000 years, and it is the most crucial. It is described in detail that we might understand. One of Satan’s ploys is to try to convince the church that she is not in view in these scriptures. Approximately two-thirds of the book of Revelation is devoted to the last 3-1/2 years of the age — from about the middle of chapter 6 unto the early part of chapter 20. This is an indication of the importance of what takes place during this brief period of time. The whole plan of God to restore His creation is brought to fruition. Satan is defeated. The church is brought to maturity and glory. The Man Child . . . Why? All creation is eagerly awaiting the revealing of the sons of God, for it is the sons of God who will set in final motion the defeat of Satan and the restoration of all creation. If this seems like excess, remember that it is all God’s plan. He will glorify Himself through His church. It’s not that we in ourselves are significant in stature, it’s that He has elected to work through the weak and foolish. It pleases God to do things that way, and whatever pleases God pleases the Son. I believe that Revelation Chapters 11, 12, 13, and 14 are all repeated looks at the final 3-1/2 years from different perspectives. At the beginning of Revelation 14, we see a company of 144,000 in heaven. I believe this is another look at the man child of Revelation 12 after he has been caught up to heaven. 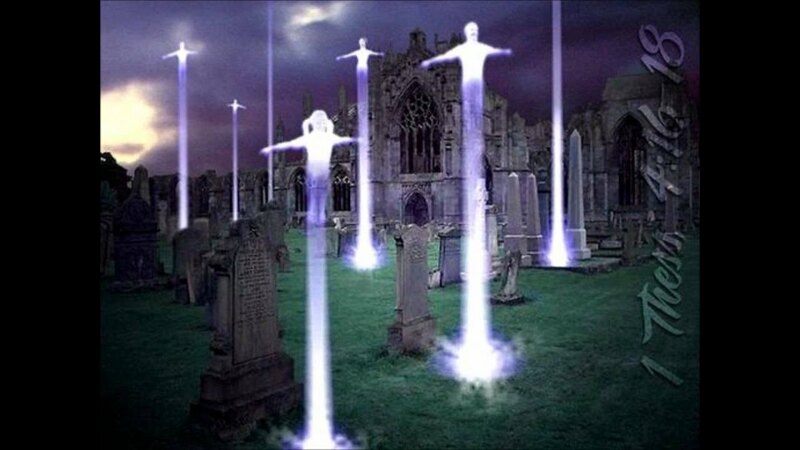 They are seen in heaven before the great tribulation begins. There is nothing that these saints needed to repent of. They are blameless. They had already washed their robes and made them white in the blood of the Lamb before the onset of great tribulation. They are contrasted with those of the church at Thyatira who were given opportunity to repent, but did not want to, and as a consequence will find themselves thrown into great tribulation. And during this time all those of the churches will find their hearts and minds searched and will receive according to their deeds. Notice that the man child of Revelation 12 and the overcoming saints of the church at Thyatira are both promised to rule the nations with rods of iron. The man-child company is clearly a portion of the overcoming church. 21 ‘I gave her time to repent, and she does not want to repent of her immorality. 22 ‘Behold, I will throw her on a bed of sickness, and those who commit adultery with her into great tribulation, unless they repent of her deeds. 23 ‘And I will kill her children with pestilence, and all the churches will know that I am He who searches the minds and hearts; and I will give to each one of you according to your deeds. 24 ‘But I say to you, the rest who are in Thyatira, who do not hold this teaching, who have not known the deep things of Satan, as they call them–I place no other burden on you. 25 ‘Nevertheless what you have, hold fast until I come. The difference between those who achieve man-child status and those who do not and are thrown into great tribulation may simply be a matter of taking or not taking verse 21 to heart: “I gave her time to repent, and she does not want to repent of her immorality.” It seems clear that there is no victory over Satan short of achieving holiness. As long as he has something in us, we will be compromised and there will be no victory. We will not be a bride without spot or wrinkle. There is still time — as of this writing — to make this decision. The whole church does not do so. For the man child is only the first fruits of the final harvest which takes place at the end of Revelation 14. Those who are not first fruits must go through great tribulation to the extent needed to wash their robes and make them white in the blood of the Lamb. It seems we have the choice to purify ourselves now and avoid the need to be purified during great tribulation. The Lord only disciplines those He loves — if necessary. Consequently — if necessary — we will find ourselves entering great tribulation because God loves us and insists that we be found without spot or wrinkle when Jesus returns. Notice that these ones are before the throne, whereas those of the man-child company were caught up to the throne. The Lord is increasing His discipline in these days that we might turn from our sins and our old ways of thinking to be filled with the fullness of Christ and to assume our responsibilities as ambassadors of the Kingdom of God in power. If the kind messenger is not heeded, then a harsh one will be sent, for God will have His church without spot or wrinkle. He is both kind and severe. To the extent we are not walking in holiness, the enemy will have access to our families, our property, our health, our finances, and our minds. When I fall short now in my striving against sin — which is sometimes far too casual — I pay a price. The principles of great tribulation are already here. To the extent we choose not to deal with our sins, we will be thrown into situations where the enemy has access to us. God is turning up the heat. The time is short. We must make a choice. *WOW! I read portions of this book at Amazon, written back in 2001, the truths in it are just what the Church needs to hear and heed as it’s about to face the crucible of the finale of the End Times – the Great Tribulation of the Saints – Debra Stout. Symbology for a white horse is primarily positive, indicating a period of success, ease, comfort, overcoming obstacles, good relations, illumination, self-discovery and control over one’s powerful emotions and drives. Seeing a white horse in a dream may symbolize imminent death of the dreamer or someone else, according to some interpreters. 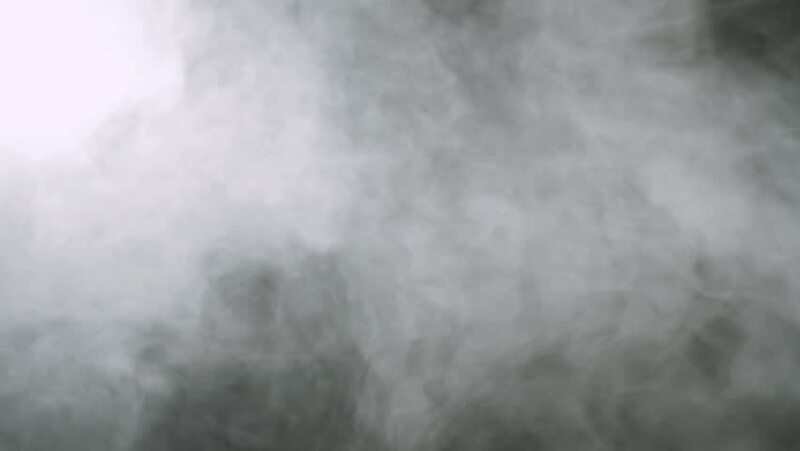 People have reported seeing a vision of a white horse shortly before dying. In the Bible riderless horses and chariots were used to transport people from Earth to Heaven (2 Kings 2:1, 11, 12, & 6:17; Ps 68:17; Zech 6:1-8).